Google has launched the Nexus 7 in Korea, in what is the second launch of the device in Asia this week following its unveiling in Japan on Tuesday. Alongside the launch of the tablet, which was attended by Executive Chairman Eric Schmidt, the company has beefed up its content offering to Koreans by introducing movies to the Google Play store in the country. Titles from industry giants Sony and Paramount are among the collection available on launch. That content push comes just weeks after Google debuted Books in Korea, and together the two provide multimedia content for would-be owners of the 7-inch tablet device, which is available immediately from the Nexus 7 website. The device is priced from 299,000 KRW (circa $267) for 16GB version and, like Japan, it will be sold in a range of retails — including Lottemart and Hi-Mart — from tomorrow. Japan and Korea are the first Asia markets to get the Nexus 7 — which is WiFi-only — and Google has revealed its motivation behind selecting these two countries; it says that Korea is the world’s second biggest downloader of apps from Google Play, with Japan coming in third. The company hasn’t revealed which country is top of the chart — which has seen a total of more than 25 billion downloads served — although it is more than likely the US. India has the potential to be another key market — despite a relative low smartphone penetration among its 1.2 billion population — and, interestingly, Google’s Nexus 7 manufacturing partner, ASUS, recently revealed that the tablet will launch in the country in November. The device launched first in Australia, Canada, the UK and the US, before heading to France, Germany and Spain in late August. Google said this summer that demand for the tablet has been “incredible”. Korea’s smartphone market is a fast-growing one and close to two-thirds of the population owns a smartphone. Given the dominance of Samsung in the local market, it will be interesting to see how the Nexus 7 competes with the Galaxy Tab range and Galaxy Note – although neither is an exact competitor to the Google device. The launch follows Google’s recent move to re-allow Korean users to upload content to YouTube, after a legislative change allowed the Web giant to end a three-year freeze on the functionality. Over the past year, Google has pledged to help support Web startups and content firms in Korea and YouTube is seen as a key tool for the country’s music industry, among others. Korea artists and record labels have enjoyed the distribution benefits of a dedicated ‘K-Pop’ channel on the service since November, and many are likely to be inspired by the international success that the Internet has brought ‘Gangnam Style’ artist PSY – who was a guest at the event. Update: Google says that Japan and Korea are the only countries in Asia where the device has launched, but ASUS is selling the tablet in Taiwan and Hong Kong. 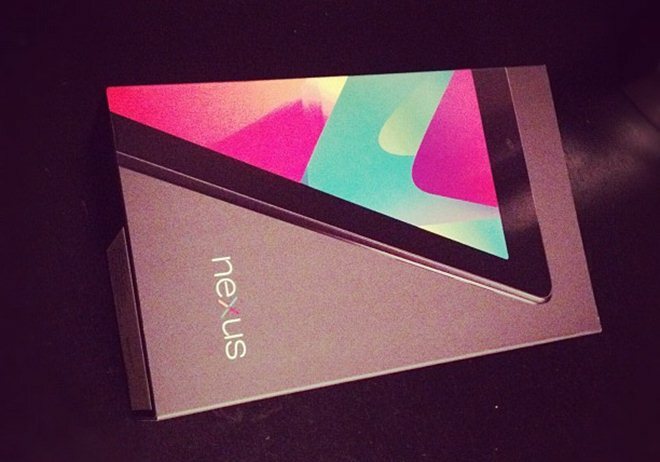 In both countries there was no launch event and the Nexus 7 is available via local carriers. Hat tips to @RichardLai and @browngeek for helping dig out those ASUS details.